Jobs like the 7,000 created by EDA projects last year provide a key path to the middle class with workers earning 17 percent more than those employed in similar sectors – and manufacturing is growing. Since February 2010, manufacturing employment has climbed at the fastest pace in decades. Since the end of the recession, more than 700,000 quality jobs have been created, and the industry currently supports more than more than 16 million U.S. jobs in manufacturing and its associated supply chains. A strong manufacturing sector also helps ensure America remains competitive on a global scale. For the first time in more than 10 years, both manufacturing output and employment are growing. Manufacturing Day highlights the importance of manufacturing to the economy and draws attention to the many rewarding high-skill jobs available in the field. 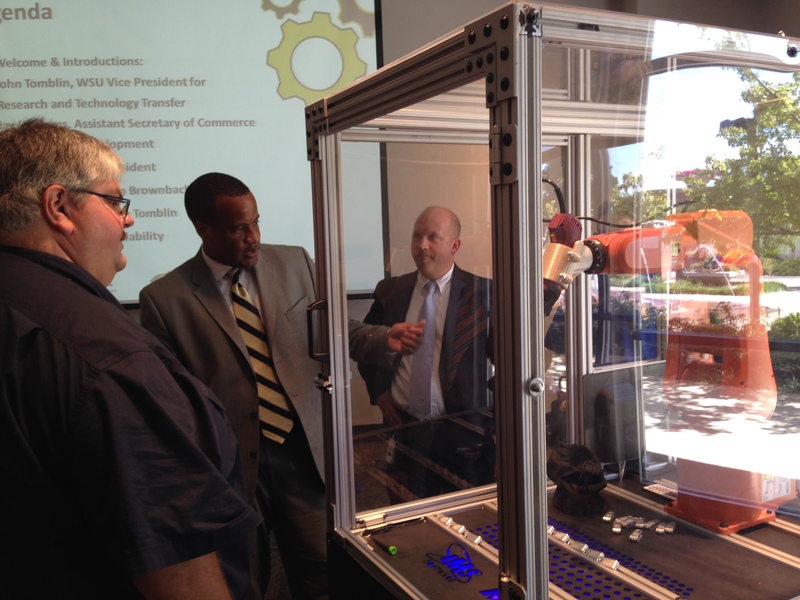 So, I encourage you to take advantage of the events happening today – or find time to tour a manufacturing facility. You’ll see that while a strong back and a strong work ethic don’t hurt, modern manufacturing requires a whole lot more.